QUESTION 1: I don’t see much exploring new territories regarding nylon string guitar making nowadays, how come it is that way? QUESTION 2: What is the real insight regarding the action of a flamenco guitar and what does "pulsacion" mean? QUESTION 4: Some people say that if one has small hands (as it is in my case) one would need to have made a smaller guitar with smaller measurements for both hands, is that true? QUESTION 5: Which is the best way to switch from an incorrect picado posture to the right one , and how do it may affect nails length the sound and posture while trying to fix bad posture habits? 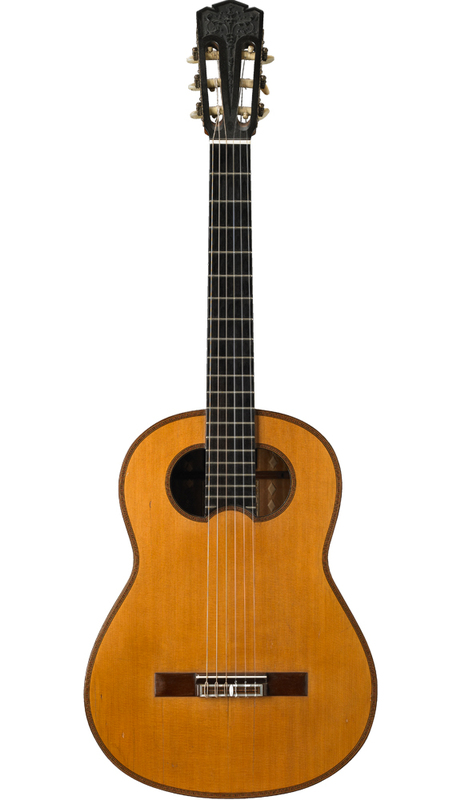 Francisco Simplicio (1874-1932) was arenowned luthier from Barcelona who builded this guitar at the end of his life printing all his expererience on it as well as his innovative way to construct guitars. I'm amazed how advanced was this luthier for his time!!! QUESTION 3: As I see predominantly much emphasis on teachings to make guitar into Antonio de Torres style, today it seems a cliché form anyway and I would like to ask your opinion regarding the role that the back and sides of a guitar do play on its sound. Please see this article: "The Difference Between Classical and Modern Flamenco Guitars"